- Four efficient modes to select files to work with drag and drop files, load file list from Excel, search for files in folders,print active document only. - Print using a specified paper size for all files in the batch. - Batch conversion to DWG, DXF, DGN V7 and DGN V8 file formats. - Drawing orientation options: portrait or landscape. 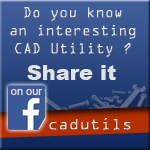 - User has the option to print the active model, all design models, all drawing models, all sheet models or all models. - All settings are saved between sessions.